Allen Wayne Cashwell, 68, Dudley area resident, died Monday, July 23, at Kitty Askins Hospice Center. His family will receive friends Wednesday, July 25, at Tyndall Funeral Home beginning at 2 p.m. with funeral services following at 3 p.m., after which burial will take place in the Calypso Cemetery. Pastor Jeffrey Dail will conduct the service. Wayne had been employed in both dry wall and plumbing. He was preceded in death by his parents, Louise Overton Cashwell Davis and Sylvester "June" Cashwell, Jr.; two brothers, Glenn Cashwell and Sylvester "Rudy" Cashwell III; and a sister, Mary Ann Cashwell Padgett. 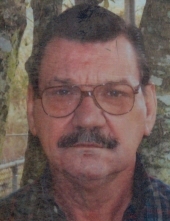 He is survived by his companion, Crystal Smith, of Dudley; a daughter, Tammy Rae Cashwell and friend, Terry Wynn of Dudley; three grandsons, R J. Williams, Brandon Roa and Trae Roa; six great grandchildren; a brother, Larry Cashwell of Calypso; special cousin, Jackie Rivenbark and wife, Ann, of Goldsboro. To send flowers or a remembrance gift to the family of Allen Wayne Cashwell, please visit our Tribute Store. "Email Address" would like to share the life celebration of Allen Wayne Cashwell. Click on the "link" to go to share a favorite memory or leave a condolence message for the family.